The England and Wales Chapter of the Institute of Operational Risk is pleased to invite you to its upcoming masterclass on designing ORMF using ISO 31000 and COSO ERM. This event is generously sponsored by our partners MERJE, a niche mid senior level recruitment firm. The operational risk framework for an organisation defines its approach towards managing operational risks. This typically covers topics such as commitment from leadership, key definitions, integrating risk management within core activities, resource allocations, risk and assessment methodology, risk appetite, risk monitoring & reports, roles and responsibilities and risk culture. ISO 31000 and COSO ERM are the most widely adopted risk management standards globally. In this masterclass , Manoj Kulwal will cover the key topics from both the standards and provide guidance on how the best ideas from the standards can be combined to design the operational risk framework for your organisation. The ideas covered in this session will enable you to design your organisation’s operational risk framework. If your organisation already has an operational risk framework, the ideas covered in this session will enable you to identify areas where the framework aligns or does not align with the two standards. The session will be based on the latest version of both standards released in 2017. 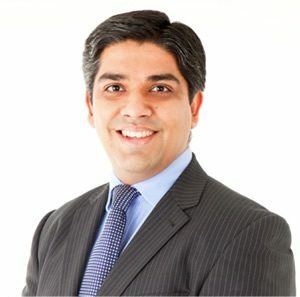 Manoj Kulwal has 20+ years of international professional experience, and for the last 13 years has been involved in design and implementation of operational risk management frameworks, processes and systems within the financial services industry. He is currently the Co-Founder and Chief Risk Officer at RiskSpotlight. He has been a member of the UK delegation involved in the revision of the ISO 31000 standard. He has also been an active member of the team responsible for developing and launching the operational risk management professional certification at IOR. He has earned a certificate in “Strategic Decision and Risk Management” from the Stanford Center for Professional Development and an Executive MBA degree from CASS Business School. The event will be free to members, but charged to non-members for a fee of £50. Please book using the form below. Please note that places are limited to this masterclass. Reserve your place at the earliest.